UA Storm technology repels water without sacrificing breathability. ColdGear Reactor adapts to your activity level for the right breathability & warmth for what you're doing. 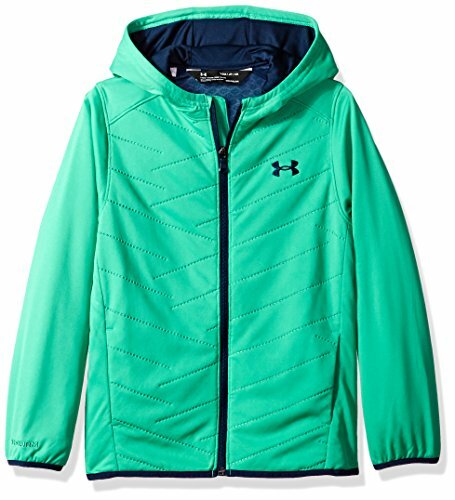 Lightweight, low-profile insulation embedded between two layers of performance fabric for the ultimate mix of warmth & breathability. Welded quilting allows the free flow of insulation for more even distribution . Stretchy side, back & underarm panels for better mobility. 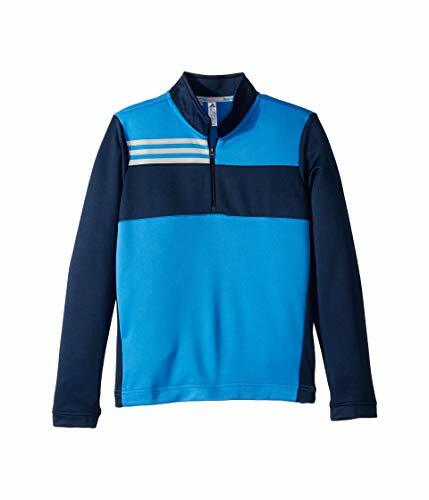 He'll shoot up the leaderboard in this Boys' golf sweatshirt. 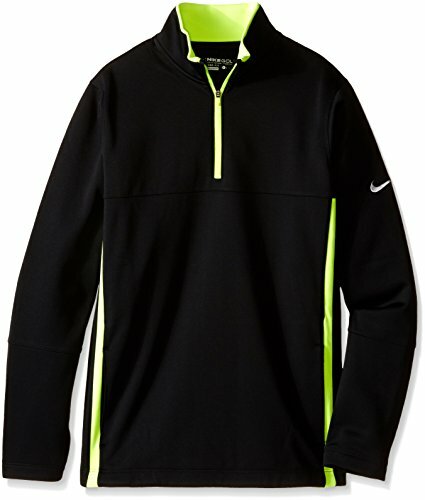 The half zip and MOCK neck offer extra coverage from the elements. Stretch fabric provides a full range of motion as he makes flush contact. 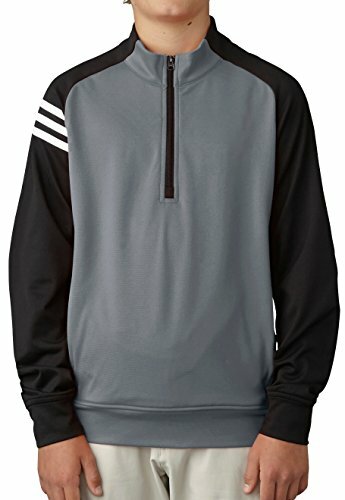 French terry fleece body fabric for comfort and warmth. 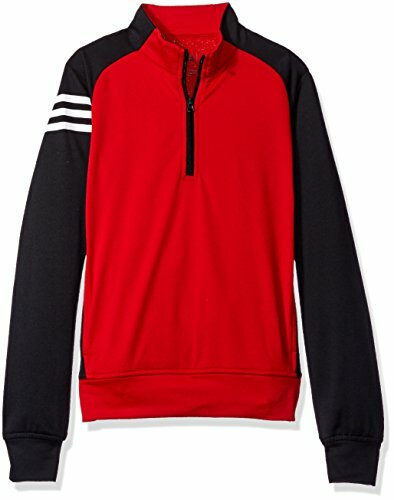 3-Stripes sleeve detail. Lock-down front zipper. Self cuff and hem. 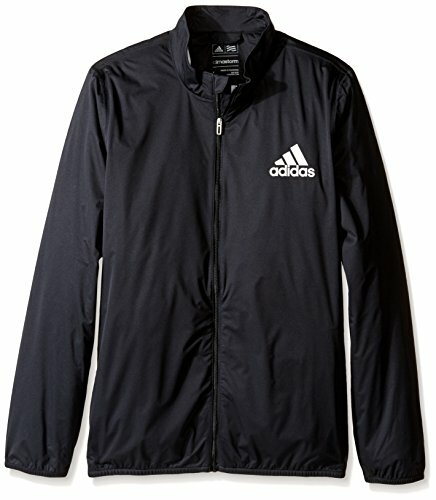 Boys 3 Stripe Layering Jacket Dark Slate / Blast Blue. French terry fleece body fabric for comfort and warmth. Side pockets. 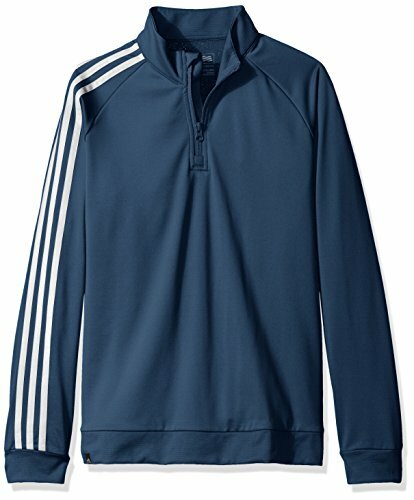 3-Stripes branding on right sleeve. 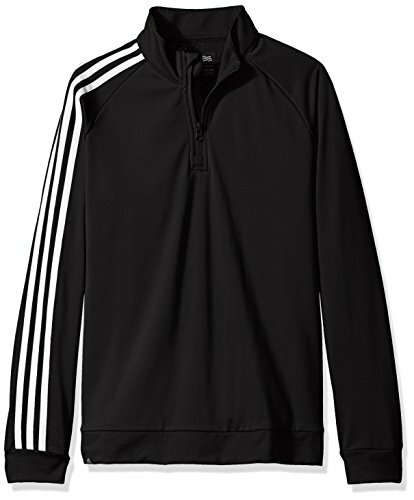 adidas raised "badge of sport" heat transfer at left chest. Some days, it's all about minimizing that wind chill. 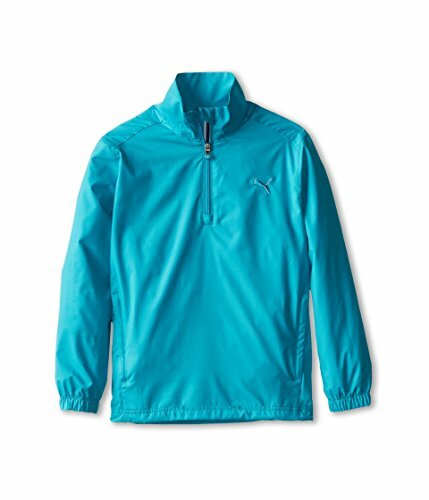 Cue the 1/4 Zip Wind Jacket. Its stand collar, adjustable draw cord at hem and windCELL properties work together to help protect and maintain body temperature. It's waterproof for showers and UV-resistant for sunshine. 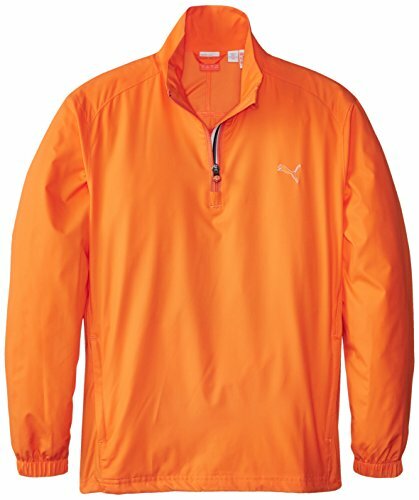 Not to mention that its stretch fabric is geared for movement enhancement (such as swinging and adding birdies to your scorecard). 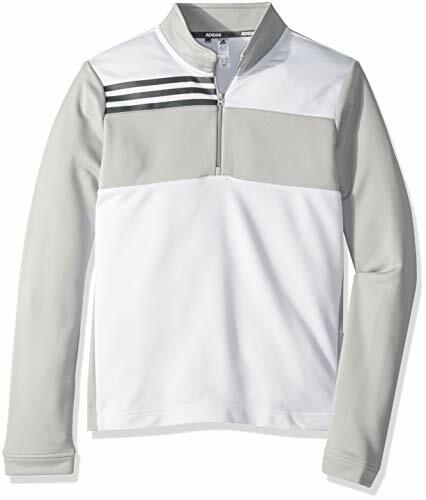 Ogio collection of Golf apparel is intelligently designed with performance fabrics to allow you to look stylish and get noticed on and off the course. 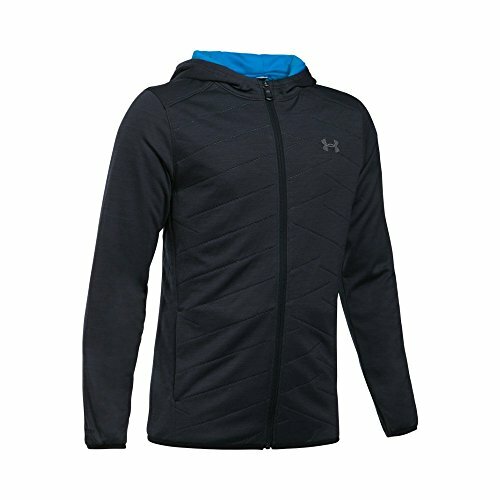 Layering garments for wind and cool weather protection; Stretch knot fabrics for ease of motion and performance; Distinctive cutting edge style, finally! Therma-Fit fabric to help keep you insulated and comfortable. Brushed interior for a super solf feel against the skin and enhanced warmth. 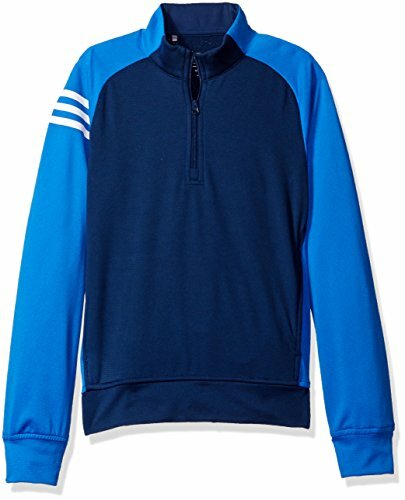 Half-zip mock neck to help block out the elements. Side pockets for storage. 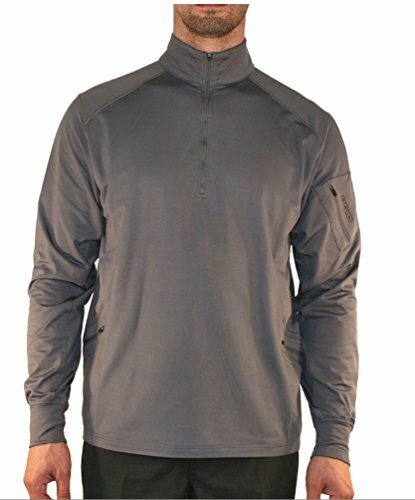 100% Polyester Therma-Fit Double Knit. BRUSHED INTERIOR FOR A SUPER-SOFT FEEL AGAINST THE SKIN AND ENHANCED WARMTH. 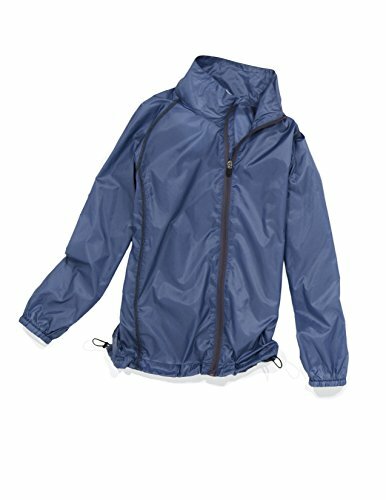 This wind and water resistant, packable jacket is perfect to slip into your kid's golf bag for those days when the weather is "iffy" out on the golf course. 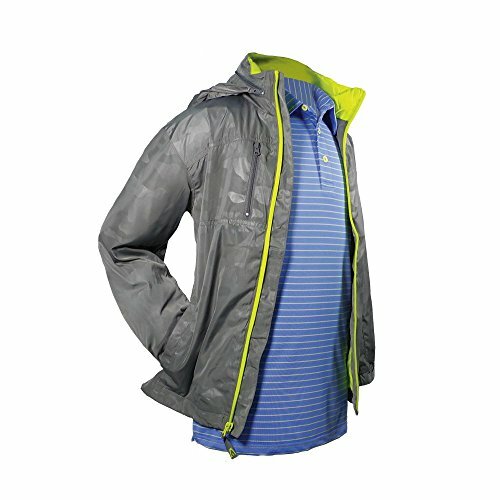 The jacket packs into it's back zipper pocket to form a small packable square. He will thank you later when it starts to rain and he can keep playing!